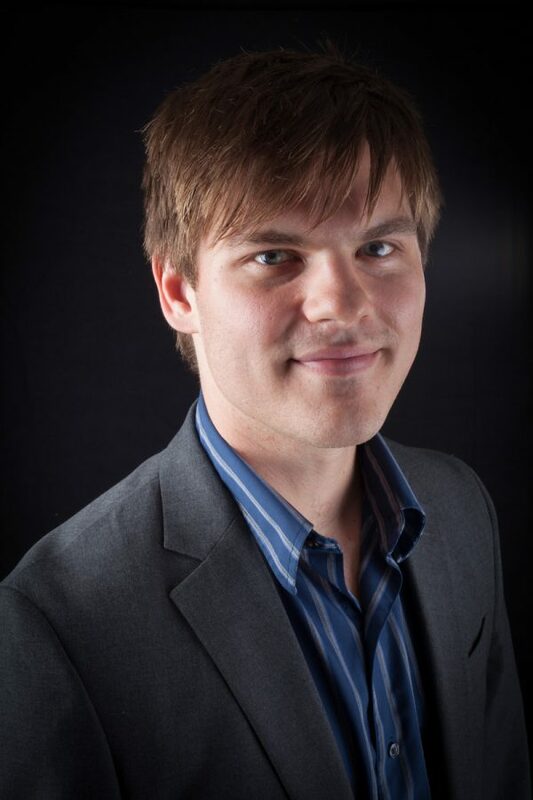 The Department of Music announces the appointment of Dr. David Werfelmann as Assistant Professor of Music, teaching music theory and composition and leading the BA in Music program, commencing in August 2015. Dr. Werfelmann will succeed Prof. Bob Chamberlin, who is retiring in May after 42 years of service as faculty member, administrator, and much-loved teacher and mentor at Webster University. David Werfelmann is an award-winning American composer of instrumental, vocal, and electronic music whose works are widely performed and recorded by ensembles and soloists throughout the United States. His orchestral music has been performed by the Milwaukee Symphony Orchestra as well as the major orchestras of the USC Thornton School of Music, IU Jacobs School of Music, and the Lawrence University Conservatory of Music. David’s Arclight Alley, commissioned and premiered by the Lawrence University Wind Ensemble, has also been performed by the wind ensembles of the USC Thornton School of Music, CSU Stanislaus, and the SCSBOA Honors Band. Among the many saxophone quartets that perform his work Hypercolor are the Zzyzx, Red Rock, Lawrence University, and Georgia Southern University Quartets, as well as the Fischoff Award-winning Barkada Saxophone Quartet. David’s music is heard frequently at conferences, festivals, and recitals around the United States and Europe, including the NOW HEAR Festival, several regional and national North American Saxophone Alliance conferences, the Society of Electroacoustic Music in the United States convention, the CSU Fullerton New Music Festival, the Berkeley Arts Festival, the Navy Band International Saxophone Symposium, the Los Angeles Composers Project, the Zeltsman Marimba Festival, the Institute for European Studies in Vienna, and at concerts in Bologna and Ravenna, Italy. Among the many honors David’s works have received, his orchestral work The Mad Machine won the BMI Student Composer Award in 2011. Performers including saxophonists Kim Reese, Sara Kind, Andrew Harrison, and Alex Sellers, pianist Rafael Liebich, the Madera Quartet, the HOCKET piano duo, and the Hear Now Ensemble have commissioned works by David and frequently perform his music on solo and chamber concerts. David’s works have been professionally recorded by the Lawrence University Wind Ensemble, the Now Hear Ensemble, and the Barkada Quartet. Additionally, his works have been broadcasted by the public radio stations of Los Angeles (KUSC), Wisconsin (WPR), and New York (WCNY), and by the online radio station Kinetics Radio. Originally, from Portland, Oregon, David has received degrees from the University of Southern California (DMA), Indiana University (MM), and Lawrence University (BM). In addition to writing music, David is a percussionist and committed educator having held teaching positions at the Lawrence University Conservatory of Music and USC Thornton School of Music. He will join the Webster University faculty in August 2015. From department chair Jeffrey Carter: We received in excess of 150 applications for this open position, more than three times as many as the last time we had an open music theory appointment. The quality of the candidates was exceptionally high, with tremendous breadth and depth of experience. Bob is going to be an impossible act to follow. But we are convinced the David has the chops, the knowledge, the outlook, and the personality to lead our BA in Music program and provide extraordinary classroom, composition-lesson, and advising experiences to our students. And we look forward to hearing more of his compositions, and seeing where this new phase in his life will take him as composer and teacher.